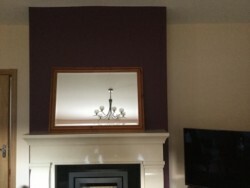 Mirror for sale never hung. 41x29 inches. €30 Ono.